Interview: Into It. Over It. 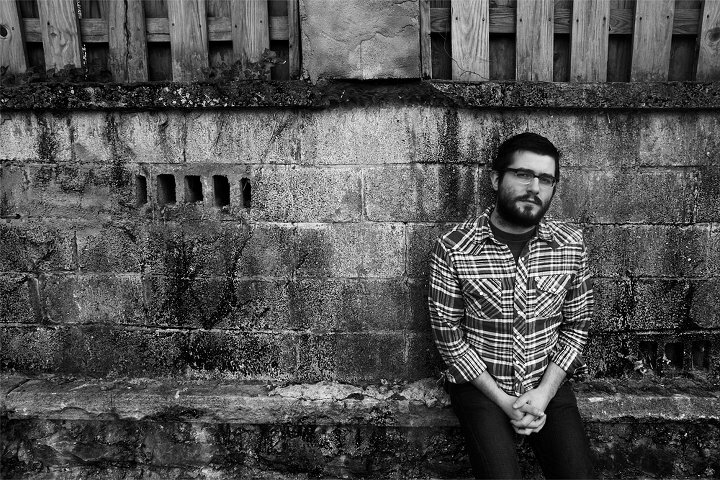 Evan Thomas Weiss is more than just a singer-songwriter; he’s a storyteller. The collection of songs – which, as the name suggests, was written over the course of a year – began as a project without grand intentions. But as he discovered that people genuinely liked his music, he continued writing. His debut was followed up by a series of splits, featuring songs about towns, which would later be compiled onto “Twelve Towns,” an album that came out earlier this year. There was also the split with Koji, featuring five songs about neighborhoods in Chicago, which is where Weiss is located. And finally, in September of this year, Weiss came out with “Proper,” a 12-song release which, in some sense, he feels is his first proper album. Disregarding his track record of writing songs that are thematically related, Weiss’ approach this time around was to pay attention to how the songs fit together and fed into one another. “We made a point to make a cohesive album, which we’d never done before when we were writing songs,” Weiss said of the collaboration between himself and drummer Nick Wakim. With the exception of Wakin’s role, the rest of the album is entirely written and performed by Weiss. This, admittedly, can create some confusion on the road for fans who have only heard the recordings and assumed that Into It. Over It. was a full band. While there is always the possibility of touring with a full backing band, the slight disparity between the recorded and the live versions is something that Weiss treasures when performing in front of crowds. Although he has been friends with members of the bands for a long time, Weiss acknowledged that his music doesn’t necessarily “fit” with that of theirs. Because of this, audience members who aren’t there to see him specifically are often skeptical of him at first. The good thing though, is that he said he acquires new fans that way. Although Weiss might come across as a songwriting powerhouse, he shared that he isn’t always initially confident about his songs, explaining that they don’t tend to see the light of day until after they’re already recorded and it’s too late to take them back. When it comes down to it, he said he is proud of each and every one of the songs he has come up with. Looking back on the past four years, Weiss said his attitude toward his songs hasn’t changed; the old ones are just as meaningful to him as the new ones. But he did admit that he himself has changed, both as a musician and a human being. This entry was posted in Interview and tagged American, Feature, Interview, Into It. Over It.. Bookmark the permalink.